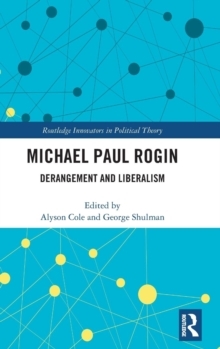 Michael J. Shapiro's writings have been innovatory with respect to the phenomena he has taken to be political, and the concomitant array of methods that he has brilliantly mastered. 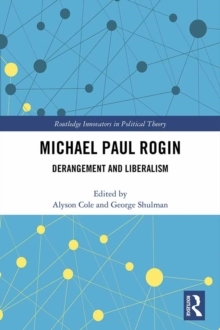 This book draws from his vast output of articles, chapters and books to provide a thematic yet integrated account of his boundary-crossing innovations in political theory and masterly contributions to our understanding of methods in the social sciences. The editors have focused on work in three key areas:DiscourseShapiro was one of the first theorists to demonstrate convincingly, and in a manner that has had a long-standing impact on the field, that language is not epiphenomenal to politics. Indeed, he shows that language is constitutive of politics. 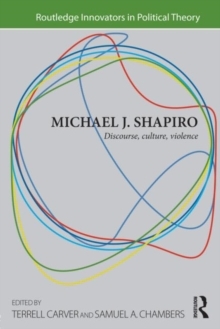 From his frequently-cited article on metaphor from the early 1980s to recent work on discourse and globalization, Shapiro has shown that politics happens not only with and through the use of language, but within discourse as a material practice. CultureGabriel Almond and Sidney Verba's (1963) famous work on `The Civic Culture' established a long-held but ultimately counterproductive relationship between culture and politics, one in which culture is an independent variable that has effects on politics. Samuel Huntington's (1998) (in)famous polemic, `The Clash of Civilizations', only pushes this relationship to its breaking point. Shapiro's rich and numerous writings on culture provide a powerful and important antidote to this approach, as Shapiro consistently shows (across wide-ranging contexts) that politics is in culture and culture is in politics, and no politically salient approach to culture can afford to turn either term into a causal variable. 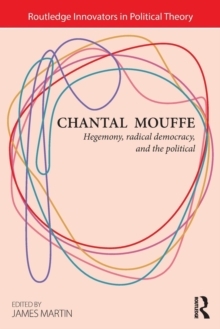 ViolenceWhile violence is surely not a theme foreign to political studies, no one has done more or better work in contemporary political theory to bring violence into play as a central term of political thought and to expand our understanding of violence. By reconceptualizing and reinterpreting this term, Shapiro's work has helped us to rethink the very boundaries between political theory and international relations as putatively separate subfields of political science. And it explains why both political theorists interested in International Relations and International Relations scholars concerned with a broader understanding of international politics must both start with Shapiro's work as required reading.